Banasa dimiata (?) 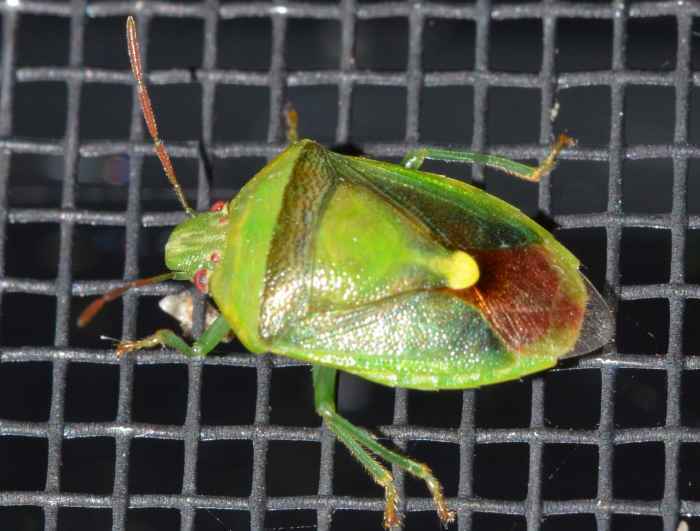 (Stink Bug (nonspec.)). Size: approx. 10-15 mm. Photo: 09/19/11, 11 pm. 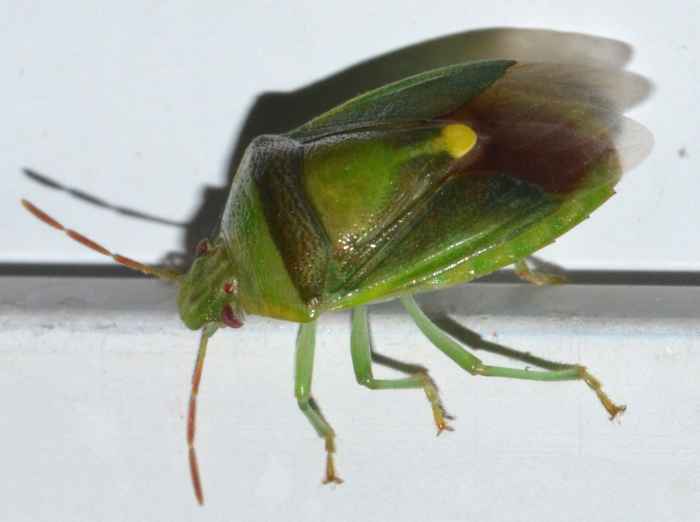 Stink bugs (also known as shield bugs) can produce unpleasant smells from their thoracic glands. These odors provide some self-defense. This specimen is probably Banasa dimiata and came to the light of a window. B. dimiata can be found in the entire US. The genus has 11 species in our area. 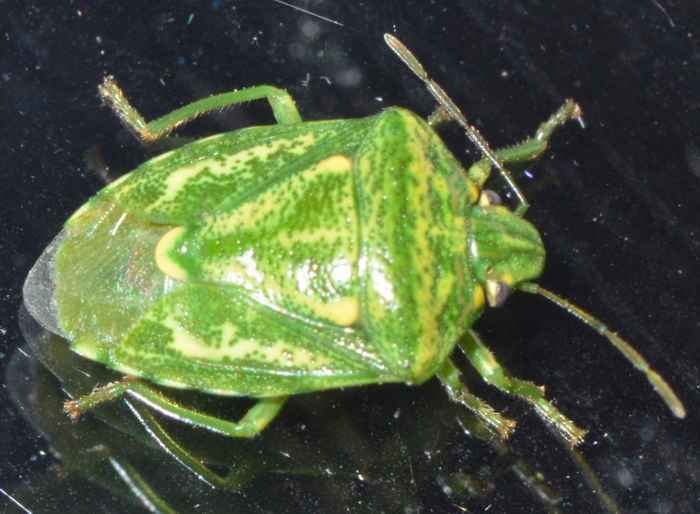 Banasa euchlora (Juniper Stink Bug). Size: approx. 10 mm. Photo: 10/06/11, 10 pm. Also known as Jade Stinkbug. This is Banasa euchlora. Adults are attracted to light and are often found on juniper plants.